★MATERIAL: 100% waterproof material.waterproof eco-friendly,extremely water resistant, quick drying.Light Texture Super Waterproof and Breathable. 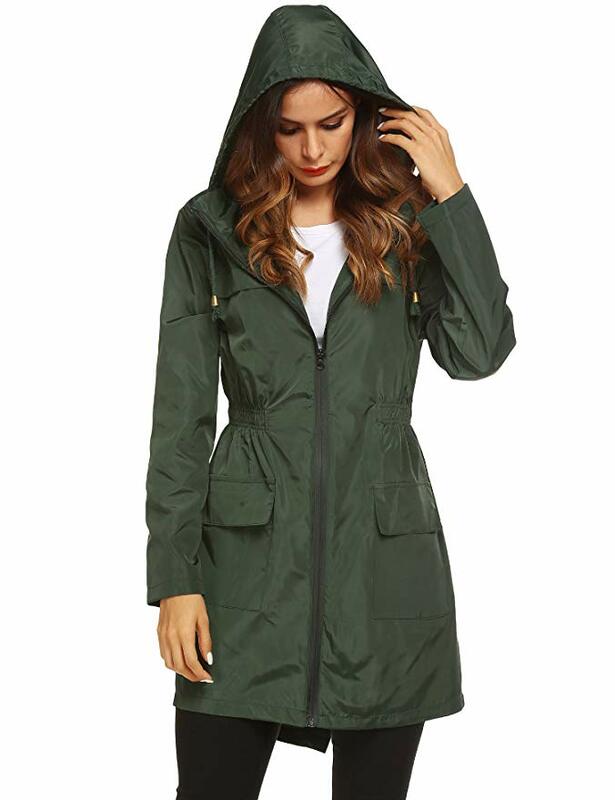 ★FEATURES: long sleeve, hooded with drawstring, elastic waist，two front pockets for roomy storage, waterproof zipper.Breathable, Skin-touch，Quick-drying, Sun Protection，Lightweight casual fit. ★OCCASION: Functions-windbreaker,Suitable for camping, hiking, riding, cycling, climbing, picnic, running, walking, traveling and other outdoor actives and sports. ★SIZE: Size Chart is not our size. Measurements please take left picture or “Product Description” below for reference. ★NOTICE: We promise to our customers to select the real waterproof material as our rain jacket, make sure to give you an amazing purchase experience.